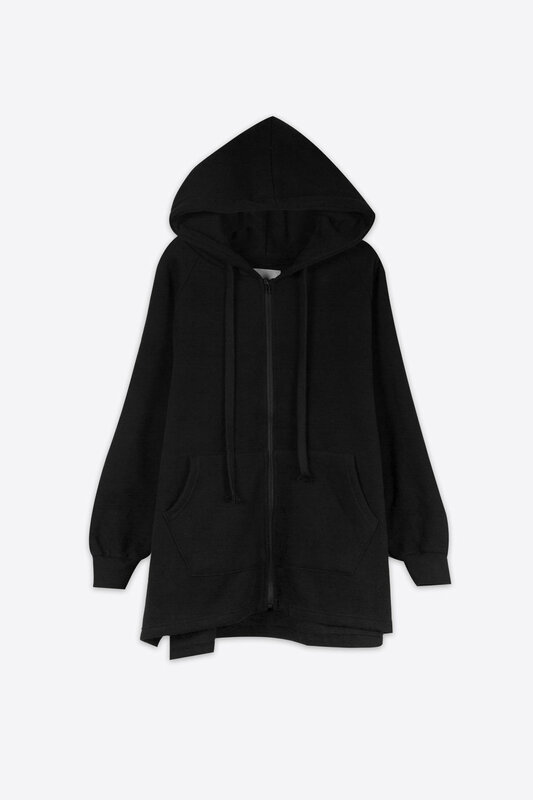 An oversized take on the classic hoodie, this zip-up jacket is sure to keep you cool and comfortable through the winter. 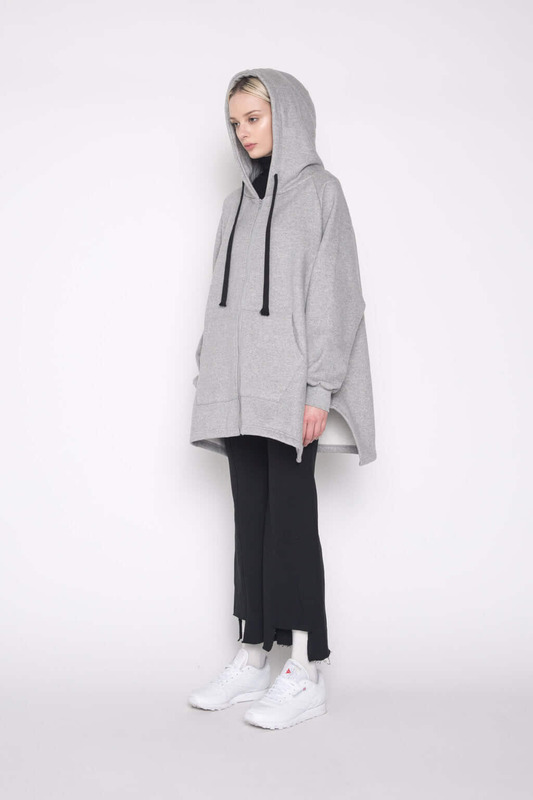 It features a large drawstring hood, dramatic side slits, raglan shoulder design, and a soft interior. Try pairing with fitted denim pants and fresh white sneakers. 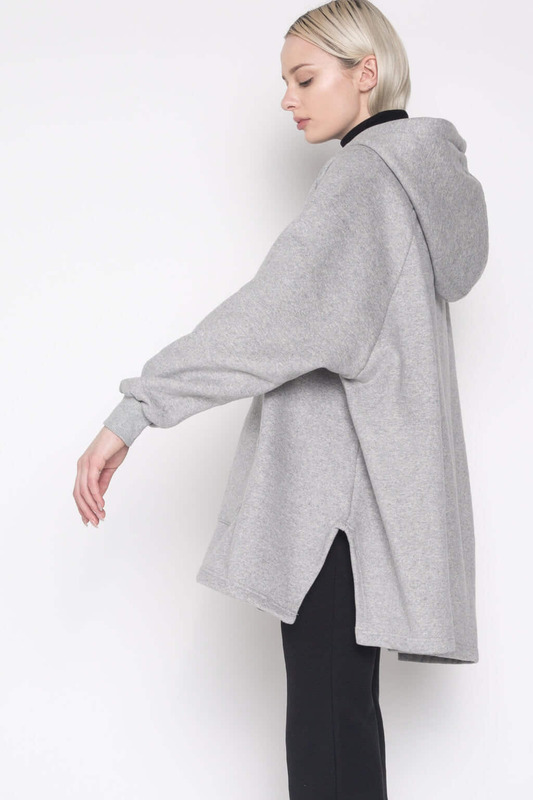 Fit: One size, oversized Approximate Measurements: OS: 57” bust x 29.5” length Model's height is 5'9".